Travel Cot & Portable Electric Heater is provided on request. (Free) When You book. Any others items required not listed above can be hire on the park itself with cost to the customer have booked with us. Prices are set. & Listed within Availability don't use this unless price is not stated on availability sector all prices are fully listed Thank you!! (See below for available dates & current listing prices for nights required). Any information Contact or reserve passes late arrivals contact park 01745 856 471. Passes not included in my hire prices. Maybe allowed reserve passes. (Ask Park First) may accomdate you. person named on booking sheet which will be completed at start holiday at site van location for holidaymakers Your Fun Works Pass will allows you access to Fun-works entertainment complex. With these you can use the swimming pools, participate in the Kids' Clubs, together with the use of the leisure and entertainment facilities, which includes bars, restaurants, show bars, sports and water activities the cost & details review my advert for full cost of passes prices bottom of advert. Reasonable notice of 14 days must be given before start of holiday. Or it could result in loss of deposits given at time of bookings (more notice the better please) refunds will not be given if terms are not followed or met by customer canceling bookings. Please State Full & Complete In Full! Holiday (Start Date & Finish Date) Use Boxes provided including moblie number required when enquiring. (Security) Information on location given after booking & deposit as be completed secure dates Holidaymakers Securing Individual Dates for there holidays must completed after agreement of this enquiry that you customer want them dates as yours securing them by a (£20)deposit (£40)more then over 7 nights or can pay in full or just deposit 14 days notice required for cancellations otherwise deposit could lost. (FULL INSTRUCTIONS) Will Be Sent To Customers Email Address & Will Apply As Part Of Terms & Conditions of This Caravan Hire. Caravan that Hiring is 3 Minutes from all Main Facilities not far to walk to have fun at amusements drink in bar & games & and shop & information/reception. (Security) Info on location given after booking & deposit payments as be completed. 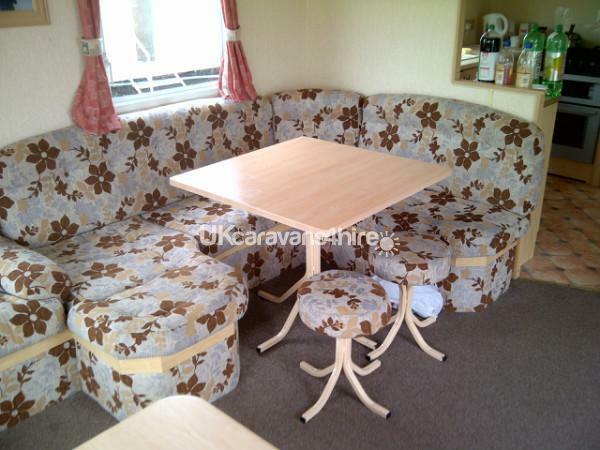 (NO SMOKING & NO PETS ALLOWED) in this caravan during your stay. Any traces found or any classified as damages by holidaymakers may lose he/her £40 refundable deposit ) see site rules & terms of hire see what applies T&C Apply. Please at end of your holiday leave the caravan as you found it clean and tidy with all the bin emptied. carpet hovered if possible? & clean. (Refunds) are returned as necessary in writing & notice as be given by holidaymakers to myself the owner if wish to cancel & get refund & prepaid deposits back that already prepaid to myself then. Reasonable notice of 14 days not given before start of your holiday this could result in loss of deposits given at time of bookings (more notice the better please) refunds will not be given if terms and conditions are not followed or met by customer. (Refunds) Not Given Once holiday dates that customer booked has nearly started or in middle near to end of booked holiday dates. full payment is received, full details of holiday will be issued when payment is cleared details given via email. Can arrange a late arrivals max upto 6pm this apon request & notice given on booking 3 night breaks Fridays only out of school holidays times. Duvets are available from us owner. You May bring along your own if wish or we have covers we provided you for your holiday. Double it want 14 nights. Any information Contact or reserve your passes or go be late arriving then contact the park ( 01745 856 471.) Passes not included in my accommodation/hire prices. Maybe allowed reserve your passes. (Ask Park First) may able accomdate you. I WILL SEND INVOICE & A RECEIPT VIA A VERIFIED PAYPAL ACCOUNT (OWNER'S) CUSTOMER NEED CONFIRM TO ME THAT PAYMENT GO BE PROCESS ONCE A INVOICE AS BE SENT TO CUSTOMER BY EMAIL. SECURE YOU DATES PAYMENT MUST BE RECEIVED BEFORE SHOWS AS BOOKED ON ADVERT/TERMS. PAYMENTS MADE AS SAME TIME AS THE BOOKING. PAYPAL It's Totally Safe easy to use. Text Email Enquires Only Please to (07853821401). I answer all your text/emails Enquirers When Can! A receipt given in style of a Invoice once as full Payment received & Cleared to myself. (Security On Property Insurance Deposit)is £40+ this Taken on the arrival day by myself from customer. 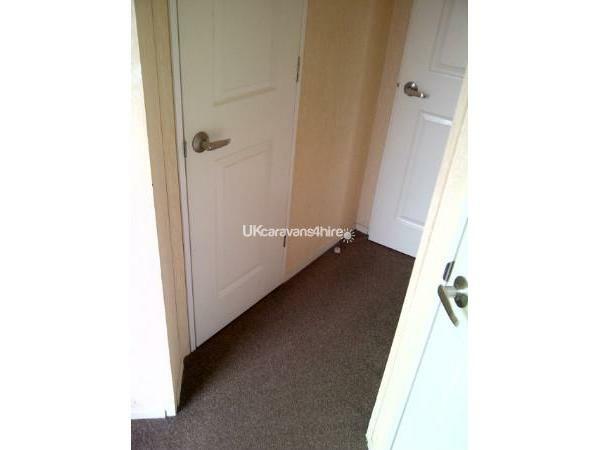 & Key Deposit £7.50 non refundable previously £5 this taken on day of arrival also. Unsure just ask more information. This separate from other payments from booking process. Caravan location & number given to booked holidaymakers on near/or on day when fully payment/a full deposit is received details sent to you via customers email address before the start of the holiday. Make sure i have got your full details when made your enquirers in Full. Caravan that customers are Hiring is 3 Minutes from all Main Facilities Presthaven not far to walk to have fun at amusements drink in bar & games & and shop & information/reception. (Security) Info on location is given after booking & deposit payments as be completed. Any other Information you require please you can contact myself on enquiry box here or to email address above or can text me to number above.